Wine of Italy. Showstopper of a white, with notes of citrus fruits and white flowers. Well balanced and perfumed with a distinct acidity. 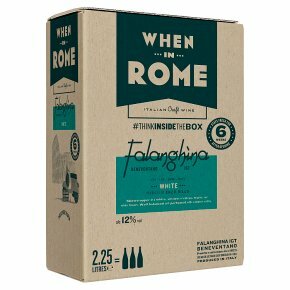 About this Wine Restaurants around the bay of Naples - and as far away as Rome - serve Falangina as their house white. Fruity and refreshing, it's coastal Southern Italy in a glass. With a hint of salt, it goes down a treat with seafood, pizza or fish and chips.